Former two-term governor of Massachusetts Bill Weld is expected to announce his 2020 presidential bid soon. As a man with previous top-ticket experience as Libertarian nominee Gary Johnson’s running mate in 2016, his candidacy for president wasn’t so unexpected. What was unexpected, however, was his party choice. 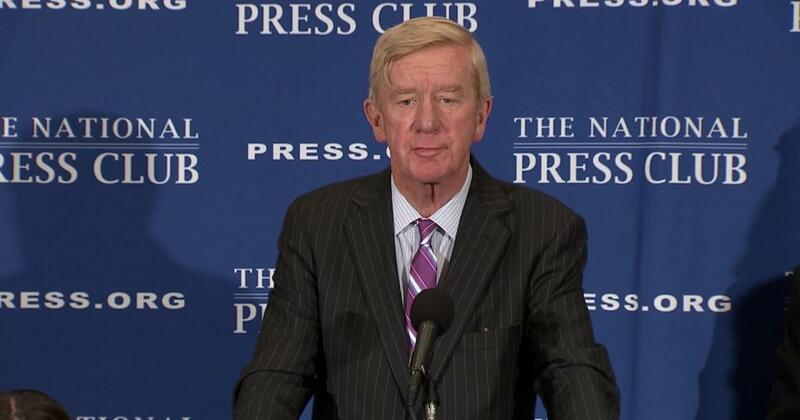 After his expected formal announcement, William F. Weld would officially become President Trump’s first primary challenger for 2020. This comes as a shock to many who expected Weld to pursue the Libertarian nomination in 2020, and perhaps as a greater shock to the many who view challenging a popular incumbent from within his own party as a political taboo. To many who are more familiar with Weld, it may be less of a surprise as the would-be challenger is a self avowed “pot stirrer” who claims he’s only at his best when he’s causing a fuss. As a 2016 Libertarian National Convention Delegate, I can personally confirm that the man knows how to cause a fuss. His 2016 candidacy for the Libertarian Party’s Vice Presidential nomination was so controversial within the Party that it almost cost Gary Johnson his own Presidential nomination. In a party that Gary Johnson essentially dominated, the incumbent nominee was forced into a second round of intense voting at the convention in Orlando, which was unexpected as he was being contested by a mere set of verifiable nobodies. The point is that Bill Weld has a set of policies that were Libertarian enough to win over the moderate majority of the Libertarian Party, but far from radical enough for the strong, more principled minorities in the party. Weld’s message of moderate Libertarianism could easily strike a chord with the average American voter. In a political climate where anything can happen, that makes Bill Weld dangerous. But Slick Willy isn’t afraid of a long shot either. When he won his 1990 Massachusetts gubernatorial race, he did so in a state where Democrats outnumbered Republicans 3-1 and became the state’s first Republican governor in 15 years. Additionally, in a political climate that has become increasingly polarized, the former governor’s bipartisan mix of hot-topic policies paint him in stark contrast to the status quo. Should Weld gain enough support to drag Trump into a primary debate, he could certainly do some damage to the incumbent. Folks, the GOP just got a little more interesting.